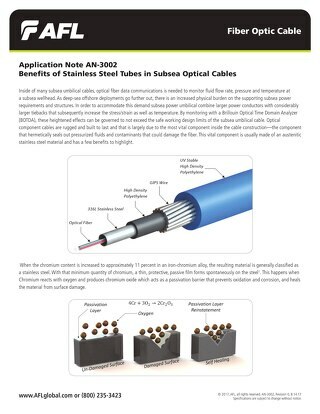 Cables used in underwater applications are specialized and typically require more mechanical strength than cables utilized in terrestrial application. 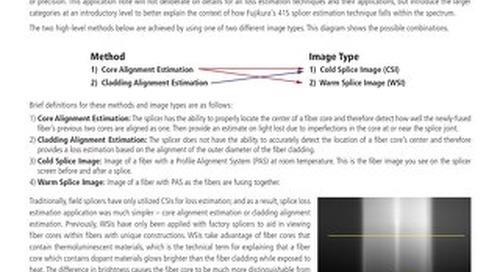 Typically these designs include one or more layers of wire armor for strength and mechanical protection for the optical fibers. 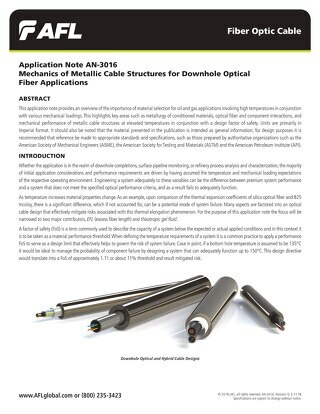 This application note evaluates the pertinent application requirements, the operational risk factors and practical service life of the cable as it will be directly influenced by a number of elements. 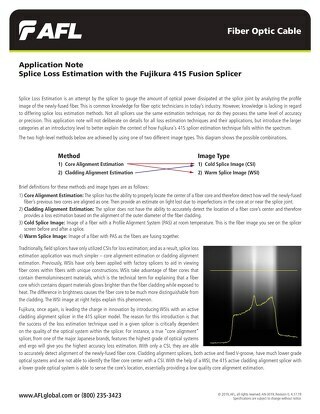 This application note focuses on methods of splice loss estimation at an introductory level to better explain the context of how Fujikura's 41S splicer estimation technique falls within the spectrum. 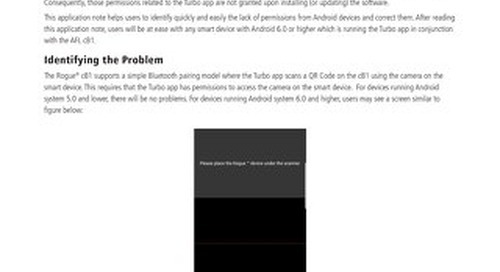 This application note helps users to identify quickly and easily the lack of permissions from Android devices and correct them. 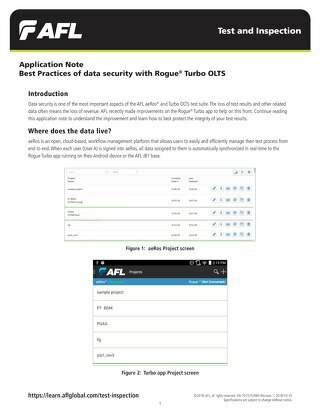 AFL extends the abilities of the Rogue® Turbo app to support multiple user accounts, pausing of real-time synchronization, and helping ensure data security on logout. 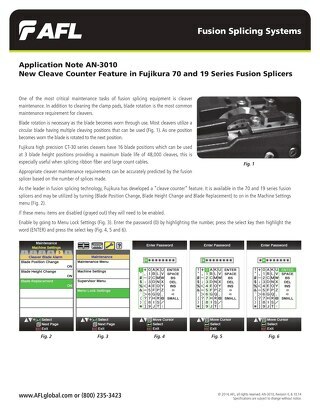 One of the most critical maintenance tasks of fusion splicing equipment is cleaver maintenance. 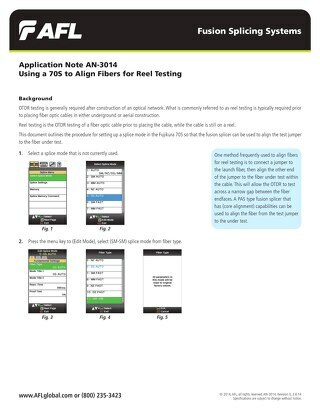 In addition to cleaning the clamp pads, blade rotation is the most common maintenance requirement. 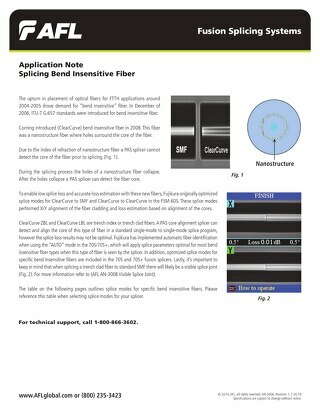 Eliminate frustrations and increase productivity by understanding the unique characteristics of this fiber type and its interaction with standard splicing equipment. 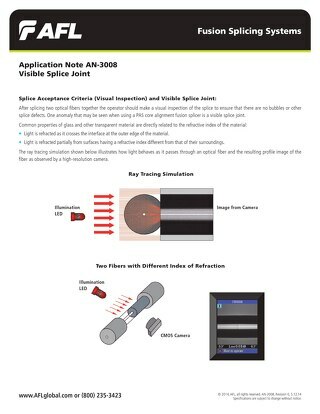 To enable low splice loss and accurate loss estimation, Fujikura optimized splice modes for ClearCurve to SMF and ClearCurve to ClearCurve in the FSM-60S. 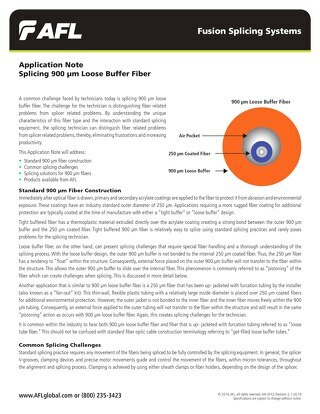 After splicing two optical fibers together the operator should make a visual inspection of the splice to ensure that there are no bubbles or other splice defects. 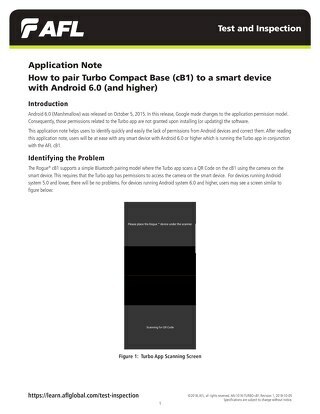 This application note provides an overview of the importance of material selection for oil and gas applications involving high temperatures in conjunction with various mechanical loadings. Inside of many subsea umbilical cables, optical fiber data communications is needed to monitor fluid flow rate, pressure and temperature at a subsea wellhead. 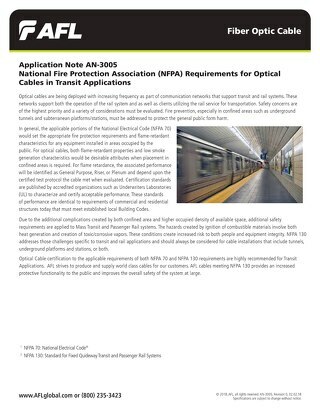 Fire prevention, especially in confined areas such as underground tunnels and subterranean platforms/stations, must be addressed to protect the general public form harm. 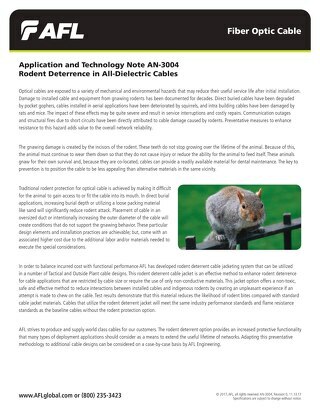 Optical cables are exposed to a variety of mechanical and environmental hazards including gophers, squirrels, rats and mice. 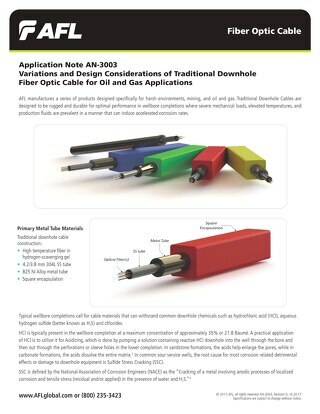 Traditional Downhole Cables are designed to be rugged and durable for optimal performance in wellbore completions with severe mechanical loads, elevated temperatures, and production fluids. The AFL IDEAA Exterior Distribution and Cross-Connect cabinets can be mounted onto a variety of different surfaces. 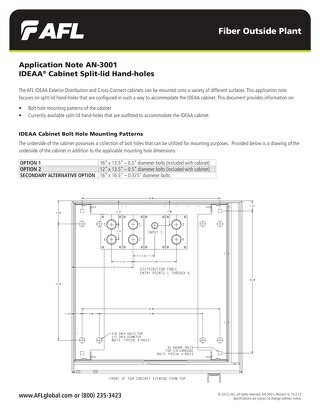 This note focuses on split-lid hand-holes configured for the IDEAA cabinet.